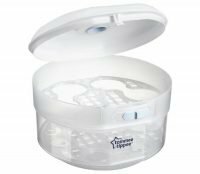 This Microwave and Cold Water Steriliser offers mums portability not found in other sterilisers, ideal for mums on the go. 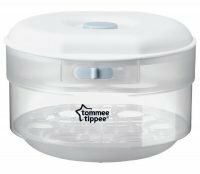 What’s more, no matter which sterilisation method you prefer, the steriliser is easy to use and suitable for a wide range of products. 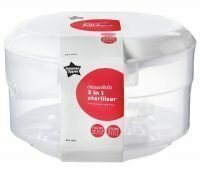 This Microwave and Cold Water Steriliser is extra safe too. in to the steriliser and, if left unopened, keeps products sterile for up to 24 hours. Holds up to 4 bottles. Lockable lid to keep out little fingers.4 minute quick cycle and BPA-free.